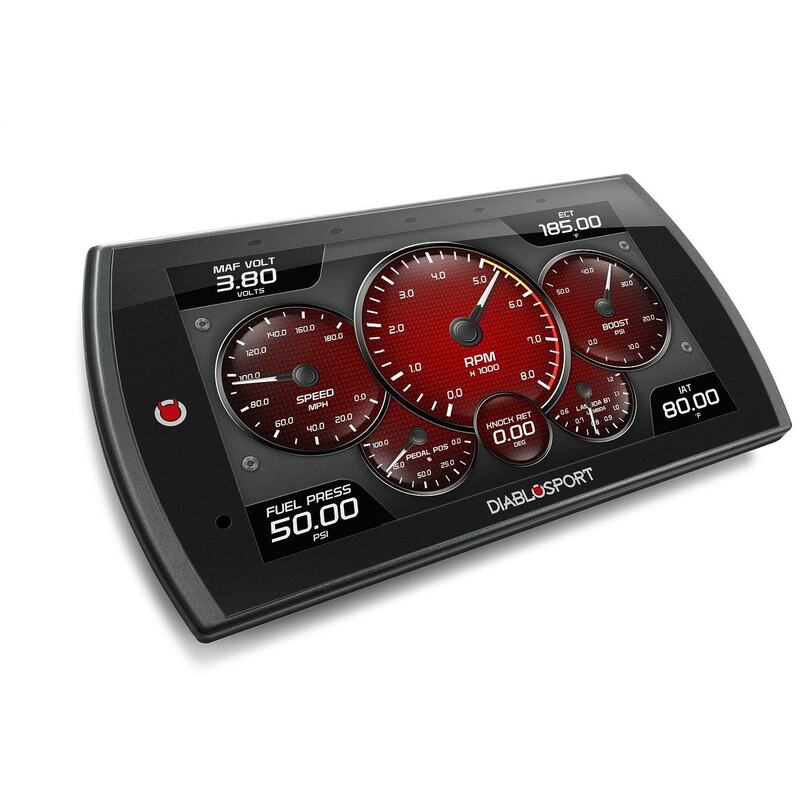 Now 50 State Legal The Diablosport Trinity T2 is your all in one Performance Management Unit. 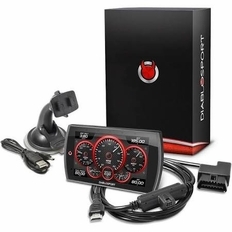 The Diablosport Trinity T2 is a Performance Tuner, Vehicle Monitor / Watchdog, as well as a diagnostic tool. 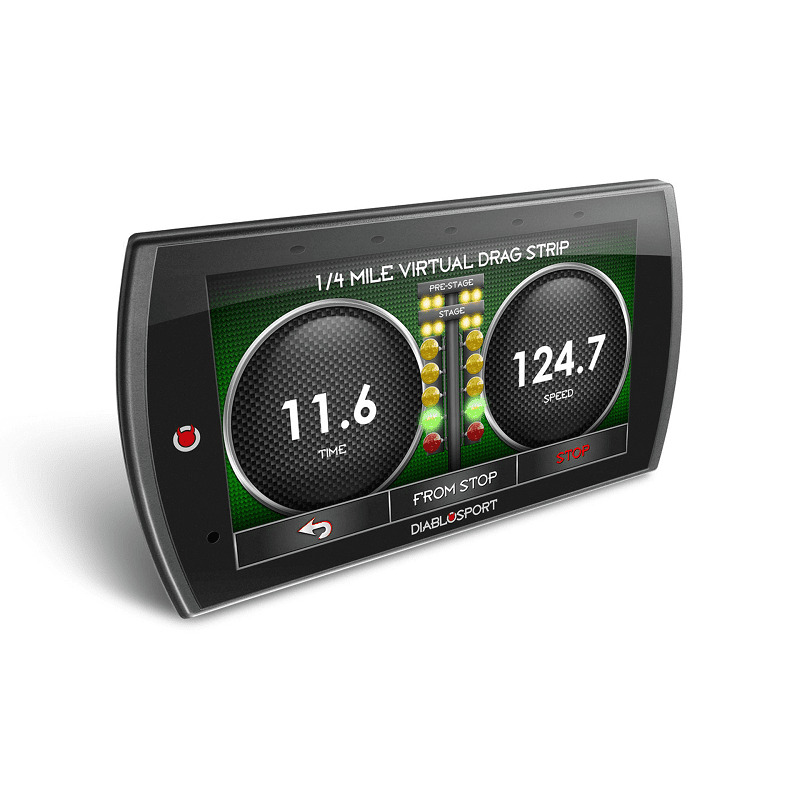 The DiabloSport Trinity T2 our all new performance programmer has the attributes you have been looking for in a revolutionary three in one heads up dashboard display. 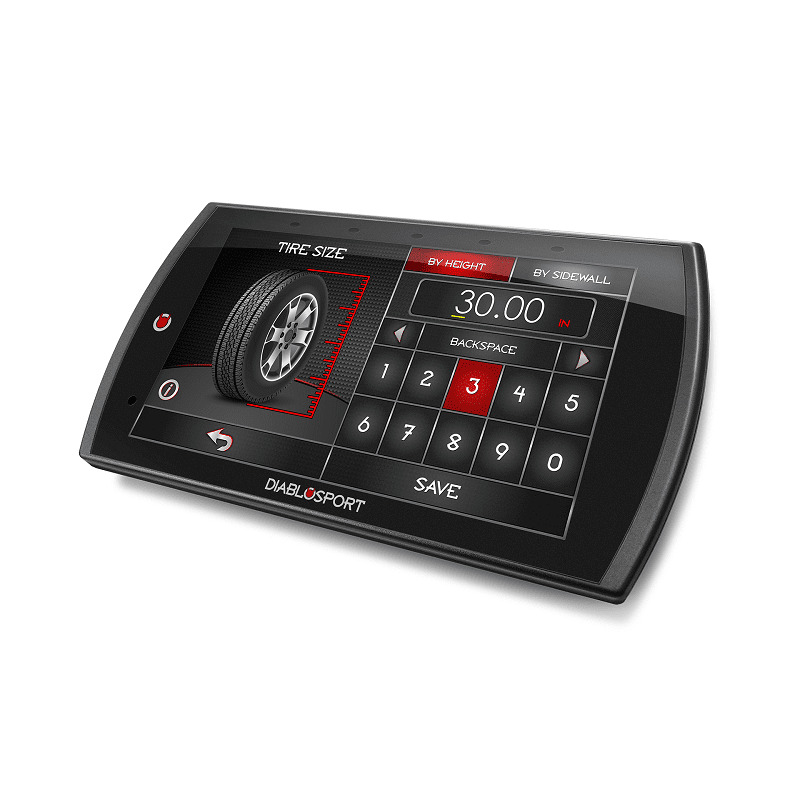 The Diablosport Trinity T2 contains all of the great features you have come to expect from DiabloSport - a flash programmer to tune and extract horsepower, advanced diagnostics and a high resolution 5" touchscreen dashboard monitor combine performance, critical vehicle information and a clear understanding of what this information means. The DiabloSport Trinity T2 allows you the choice between multiple power or octane level calibrations - with complete end user adjustability. There are also tons of user customizable parameters, allowing you to adjust everything from shift pressure to the cooling fan temps to the parameters you want. The unit is plug and play, but if you want to get more advanced, multiple custom tunes are easily loaded through a high speed USB port, or an SD card. Trinity T2 diagnostics can read and erase fault codes, incorporates real time data monitoring with advanced logging capabilities for delivery of data output to your PC, or SD card. The Trinity T2 monitors the gauges you want to monitor and is easily customizable to your wildest preferences. * Add horsepower, torque, and fuel economy with pre-loaded Diablosport tunes or accepts up to 5 additional custom tunes. Gain up to 20HP and 20 lbs. of Torque across all models! * 2 channel analog input for connecting external sensors such as EGT and Wideband. * Supports communication protocols from leading sensor manufactures such as Innovate, PLX, Zetronix and more. * SD card slot for increased memory capacity. * Checks and clears diagnostic trouble codes. * Multiple tunes to choose from. * Complete vehicle monitor. View dozens of gauges at once! * Virtual Drag Tree functions include 0-60 times, 1/4 mile times and more! * Large 5" Full Color - High Definition Touch Screen! * High Speed Data logging! 100MB of on board memory. * Ships with suction cup mount. The part number for this item is Diablosport 9200 and it will fit 2005-2009 Pontiac GXP 5.3 V8 vehicles. DiabloSport performance tuning with 93 octane can yield anywhere between 15-40 horsepower (measured at the wheels) and about the same in ft/lbs of torque. If you have a gasoline powered vehicle make sure that you are using the minimum octane fuel for the tune you selected. For instance if you are using the 93 Octane Performance Tune, you must run 93 octane in order to avoid spark knock or engine damage. There are also tunes that are optimized for lower octanes available for your use. The following is a list of adjustable parameters that the Trinity T2 may offer for your vehicle. This list is for gasoline powered vehicles only. All of the parameters listed here may be under a different name, or not available for your application. For more information on what is available for your vehicle, check our individual product pages for a detailed list of adjustable parameters per application.